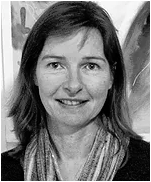 Andrea originally studied Architecture at the University of Applied Sciences in Hamburg, Germany and worked in a number of prestige practices before moving to Wales in 1993. During her time in Wales, Andrea continued working part time whilst raising her family of 5 children. Looking for a full time position, Andrea joined David Haward Associates in 2007 and is now registered with The Architect’s Registration Board (ARB) in the UK. Andrea has a keen interest in ecological methods and building conservation and has undertaken a number of specialist courses in this field. Andrea is responsible for ensuring that all structural and technical aspects of a project are completed and deals with the tendering process. In her spare time, Andrea’s main interest is her smallholding which she has developed into a stud farm and a livery yard. She has successfully bred high quality sports horses for all disciplines.